The second set of 2018 safety ratings have been released by Euro NCAP, with the new Ford Focus and Volvo XC40 both scoring highly under revised 2018 test criteria. Both cars managed to achieve the full five-star rating, but it was the Volvo (surprise surprise) that came out on top overall, scoring 97% for adult occupant protection; that puts it amongst the top five cars tested in the last three years for this category. It’s in the area of active safety that ensured both cars scored highly though, with the XC40 and Focus both featuring autonomous emergency braking (AEB) systems that can not only detect pedestrians, but cyclists too. The Volvo also has emergency lane-keeping tech (ELK) that acts in emergency situations to help prevent the car leaving the road when being steered into the path of oncoming traffic. 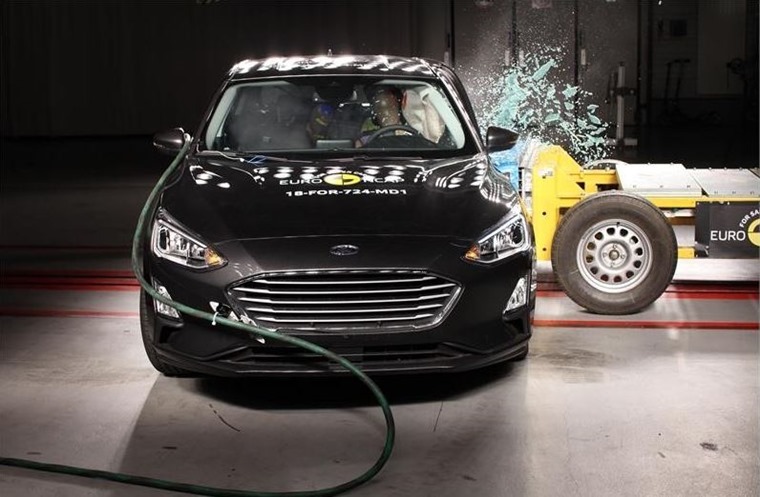 The Ford’s impressive results are a stark contrast to its Mustang that underwent Euro NCAP testing last year, and only managed to attain three stars, even after revisions were made. Euro NCAP has tested three all-new cars so far this year – the Volvo and Ford join the new Nissan Leaf EV, which also managed to score the full five stars.